Thanks for voting in the first round of the 2017 TCM Best of Racing Awards. Voting is now closed. Second round voting will begin on TimsCorner.ca at 6pm Atlantic on Thursday, October 5th and will include the second round of the CSS Insurance Most Popular Driver, TCM Fan Favorite Series and the TCM Fan Favorite Short Track Food. The opening round of the 2017 TCM Best of Racing Awards are here! The first ballot, which will run until Thursday, October 5th at Noon Atlantic, consists of four different awards, including the first round of the CSS Insurance Most Popular Driver Award voting. Read below about the Most Popular Driver format with a returning first round twist for 2017, the nominees for the TCM Fan Favorite Short Tracks and cast your vote for in the first round of the 2017 TCM Best of Racing Awards! BACK FOR 2017 – for the first round only, because there are so many drivers on the ballot, you can select up to five drivers in the first round. You can select one if you wish but the option is open to select up to five from the list. This choice will be in play for the first round only. Team up with other drivers on your campaigns, get your fans and theirs to help out to get to the second round! Round Two – The second round of voting will take place from Thursday, October 5th at 6pm Atlantic to Thursday, October 12th at Noon Atlantic and will feature the top 25 drivers from the first round of voting. The top ten from this group will transfer into the final round of voting. Operates from May to September with most races taking place on Saturday nights at 6pm. Home to four divisions weekly, including Mini Stocks, Outlaws, Street Stocks and Late Models. Home to races on the Eastern Super Mini Cup Series, Maritime League of Legends Tour and Parts for Trucks Pro Stock Tour. Also hosts Bandolero races and Demolition events and is the site of the annual David Lambe Memorial Street Stock feature. In 2017, the track hosted the popular Maritime Street Stock Showdown presented by BPMS and Discover Kia. Operates from May to September with most races taking place on Friday nights at 7pm. Home to six divisions weekly, including Bandoleros, Legends, Thunder, Lightning, Trucks and Sportsman. Home to races on the Maritime League of Legends Tour and Parts for Trucks Pro Stock Tour. Also hosts MONSTER JAM and Rusty Wallace Racing Experience. Home of the Atlantic Cat 250, the $20/Carload Night and hosted Fanfest for a third straight year in 2017. New for 2017, the track hosted an Antique Car Show and Shine and Food Truck Rally to kick off the Atlantic Cat 250 weekend. Operates from May to September with most races taking place on Saturday nights at 6:30pm. Home to four divisions weekly, including Sharp Shooters, Street Stock, Sportsman and Pro Stock. Home to races on the Parts for Trucks Pro Stock Tour, Maritime League of Legends Tour and MJS Holdings East Coast Mini Stock Tour. Also hosts Bandolero racing. Home of Speedweekend and McLaughlin Roof Trusses 250. Eastbound Park is Newfoundland’s premiere paved stock car oval with racing from May to September. Divisions include the NAPA Auto Parts Sportsman, Hanlon Realty Legends, Automotive Supplies RV Bandoleros and Atlantic Dodge Dealers Mini Stocks. The race track is sanctioned by the NASCAR Home Tracks and the NASCAR Whelen All American Series, along with US Legend Cars International and INEX. 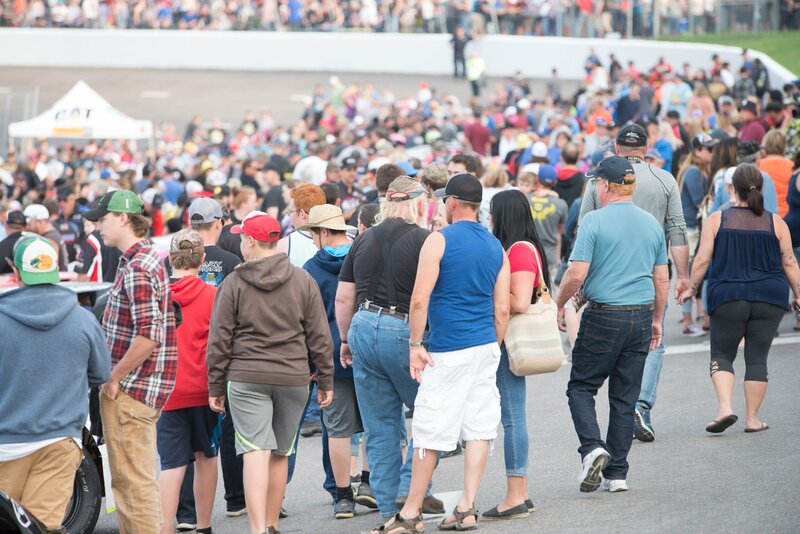 Located in the shadows of Moncton, New Brunswick, Petty International Raceway has six house divisions – the Leisure Days RV Bandoleros, Mister Transmission Mini Stock, Westwood Estates Street Stocks, Limited Late Models, Modifieds and Women on Wheels. Petty Raceway also hosts three touring series each season: the MJS Holdings Limited East Coast Mini Stock Tour, Maritime League of Legends and Parts for Trucks Pro Stock Tour. The track operates race events from May to September. The crown jewel of stock car racing in Atlantic Canada. Riverside International Speedway hosts the Parts for Trucks Pro Stock Tour three times a season, including the iconic IWK 250 in July. The NAPA Sportsman Series, Maritime League of Legends and the MJS Holdings East Coast Mini Stocks are regular visitors to the high banked oval in James River, Nova Scotia. The track is also the only Atlantic Canadian venue for the NASCAR Pinty’s Series. In 2017, the track hosted Mark Martin and Matt Crafton. Racing takes place at the track from June to September. Changing ownership in 2015 from Jason Carnahan to Barry Richard, Speedway Miramichi remains a place for both the stock car and demolition enthusiast alike. The track also hosts periodic stock car racing for Street Stocks, Mini Stocks, the Atlantic Modified Tour and the MJS Holdings East Coast Mini Stock Tour from May to October. 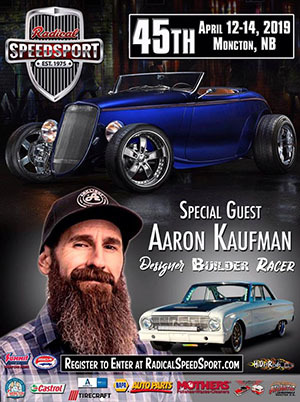 In it’s second year led by Brad and Amy Melendy and Sideways Motorsports, Thunder Valley Speedway hosted six race weekends which included the Sportsman, Hobby Stock and Bomber classes on all events, along with appearances from the Bandolero divisions. The track is located just outside of Bishop’s Falls, NL. **Note – one vote per computer/IP address/person per ballot. Multiple responses from the same IP address will not be counted. Incomplete responses will not be counted.